Another day, another barrel of oil, another dollar. The day has started pretty well on the facility with a series of meetings that began at 5.50am and I’m finally free to at least publish a quick post before I carry my process engineering activities lined up for today. We Nigerians always want the best for ourselves and our brothers out there, and when you come to terms with the fact that there are young Nigerians aspiring to do well in the club you support with your heart, you know that it’s something worth commending. Chuba Amaechi Akpom is a Nigerian-born Brit that joined this club at the age of six. He began his football education at Arsenal and grew in the ranks before making his debut for the Under-18s at just 15 years of age. Shortly after his seventeenth birthday, he received his first ever call-up to the Arsenal squad in a dead rubber game against Olympiakos but he didn’t feature in that match. Akpom came under the spotlight in the 2012/13 season, when he, aged just 17-years-plus, scored 13 goals in 20 games for the Under-21s. At the start of the 2013/14 campaign, Arsene Wenger featured him in the Asia Tour and he did magnificently well to score four goals in three games against Indonesia Dream Team, Vietnam and Urawa Red Diamonds. It was only a matter of time before he made his Arsenal first team debut and he got it in that same season. Akpom has tried a few loan spells in the past two seasons featuring for the likes of Brentford, Coventry and Nottingham but he’s yet to score his first professional goal. 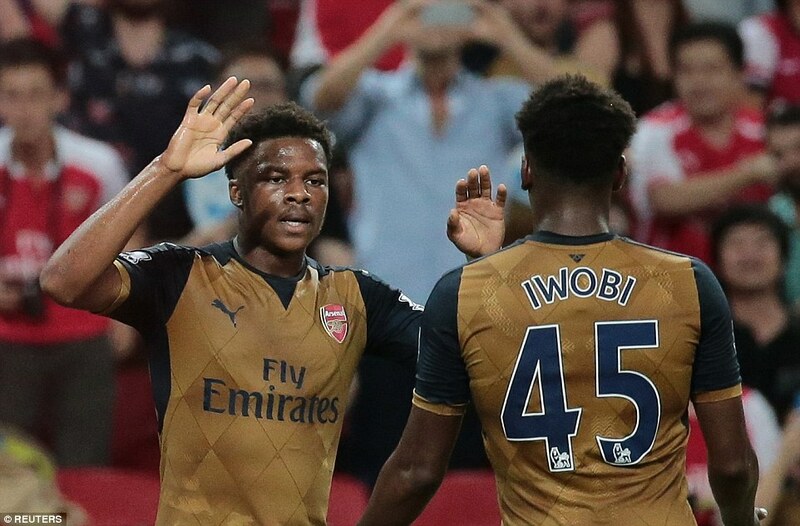 Akpom began this season with a big bang, scoring a hat-trick in the Barclays Asia Trophy semifinal against Singapore. Since then, Wenger has featured Akpom in the other preseason games but he adopted a rather selfish approach in the coming games, showing that he’s still very raw, despite Wenger’s initial statements that he was going to be part of the squad this season. The Gunners have confirmed in the official site that Akpom will be joining Hull City on loan for the entire 2015/16 season. The club’s Twitter handle confirmed the news as well. Looking at the current outlook of things, a loan move to a competitive team is what Akpom needs at this stage of his career. At Arsenal, he’s clearly behind the likes of Olivier Giroud, Theo Walcott and Danny Welbeck in the pecking order for the center forward position, but he has to prove to Wenger and the Arsenal hierarchy that he has what it takes to make the grade in an ambitious club like Arsenal. I don’t even expect Akpom to work straight into the Hull team but they’re a side that are trying to revamp themselves and challenge for promotion to the Premier League. Following their relegation from the Premier League last season, Steve Bruce still kept his job after suffering the ignominy of going down a division and he purged the club off some players like Steve Harper, Paul McShane, Liam Rosenior, Maynor Figueroa, Yannick Sagbo and some youngsters, while ‘bigger’ clubs poached Tom Ince, Robbie Brady and James Chester. In the first team, Akpom will have to contend with Nikica Jelavic, record-signing, Abel Hernandez, Sone Aluko and last season’s surprise package, Dame N’Doye. Bruce will have to be the one to manage his forwards effectively and we can only hope that Akpom gets some good game time that would be beneficial to his career development. I wish the lad the very best at Hull and I hope he makes a telling contribution in their surge for Premier League promotion this season. Posted on August 5, 2015, in Arsenal, Football, Transfer Gossip and tagged Arsenal, Chuba Akpom, Football, Hull. Bookmark the permalink. 1 Comment.